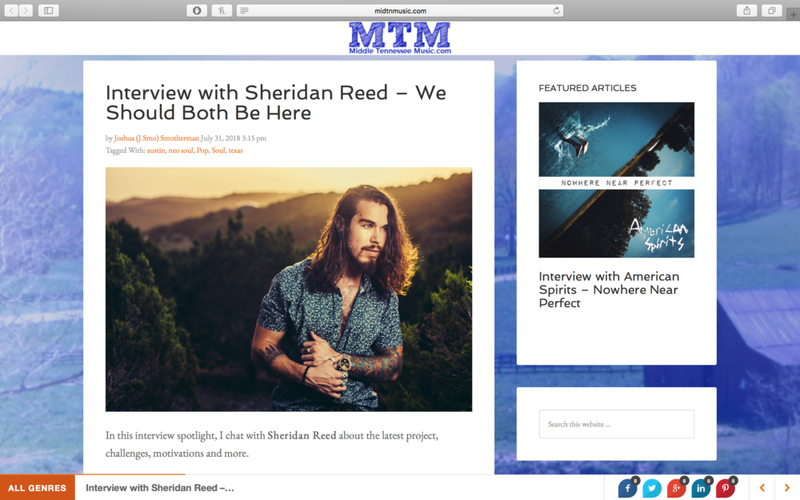 PM Studio catches up with Sheridan Reed and features his latest single, “Money Maker”, preceding an EP release this Spring. 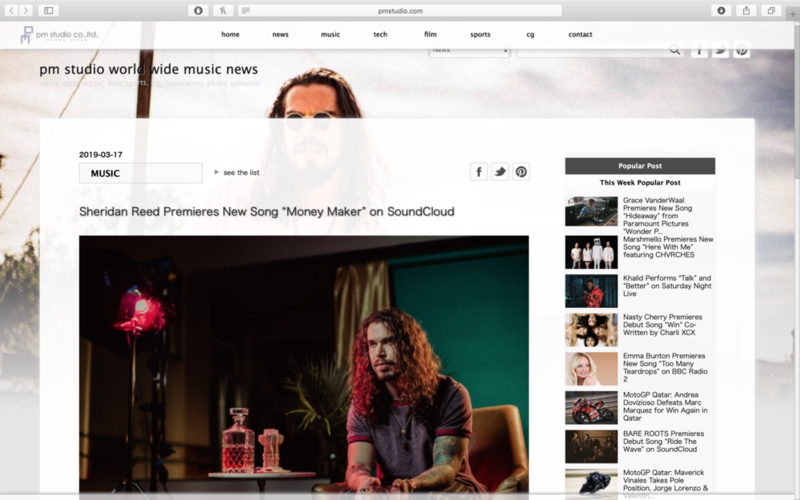 Sheridan Reed’s newest single, “Money Maker” is featured with Solo Vibes. 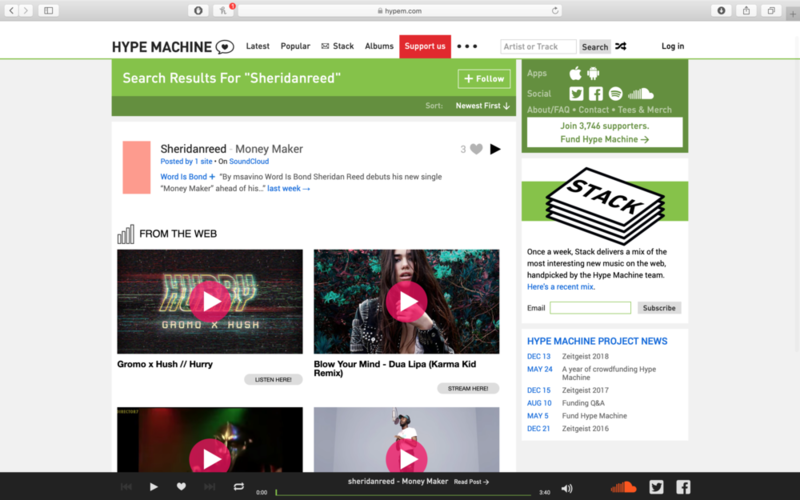 Hype Machine features Sheridan Reed’s latest single, “Money Maker”. 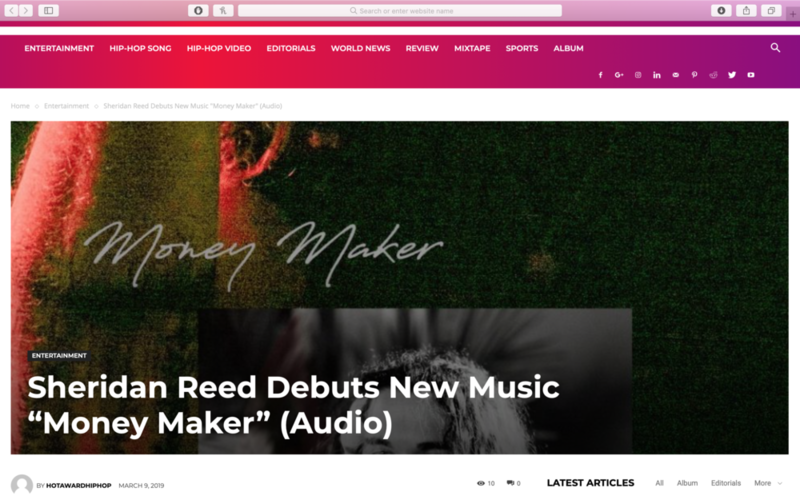 Sheridan Reed debuts his slow and sultry new single titled, “Money Maker” with Celebmix. This is Reed’s third single and release before his heavily anticipated EP coming out Spring 2019. Sheridan Reed shares some of his favorite songs with Madness to Creation in a personal Spotify playlist! Vents- ”Did any event in particular inspire you to write this song? “The track is like '80s pop and R&B style, following his debut song "We Should Both Be Here", which was released back in July. Sheridan Reed performs an acoustic broken down version of his hit single, “We Should Both Be Here” on Fox 7, Good Day Austin. 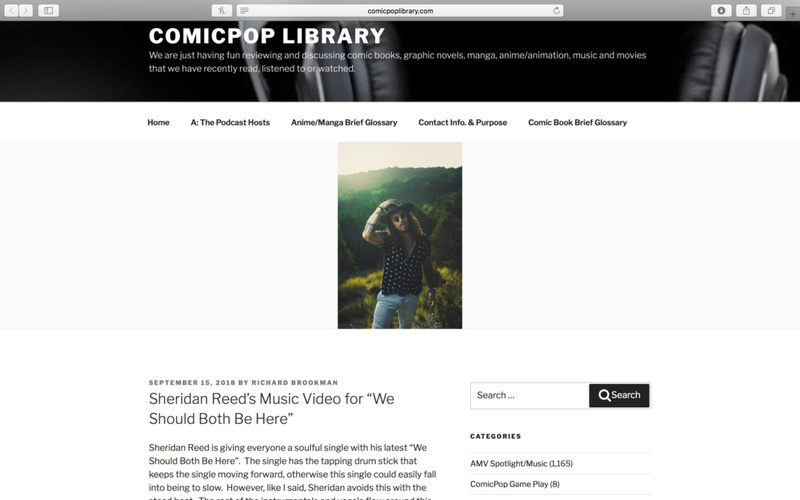 “Austin-based, singer-songwriter Sheridan Reed releases the accompanying visual for his new single, “We Should Both Be Here,” a song from his forthcoming album. “Review Fix: What’s your creative process like? I first and foremost consider myself just another person. I’ve got tons of my own baggage and flaws, but I’m doing my best to work through them, learn from them, and grow. It’s the same approach I try to take to playing guitar, singing, and songwriting. Guest playlist feature on Imperfect Fifth of Sheridan Reed’s current favorite artists that he’s listening to. 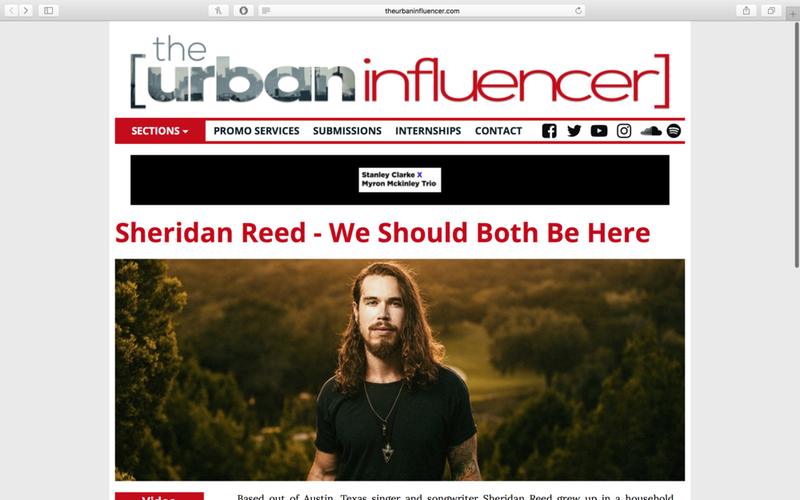 Singer-songwriter Sheridan Reed has love on the brain in his new single "We Should Both Be Here." The Cali-bred, Austin-based talent reminisces about an old flame that still flickers on the track, but circumstance and distance have kept the two apart. However, Sheridan would love nothing more than to get that old thing back. 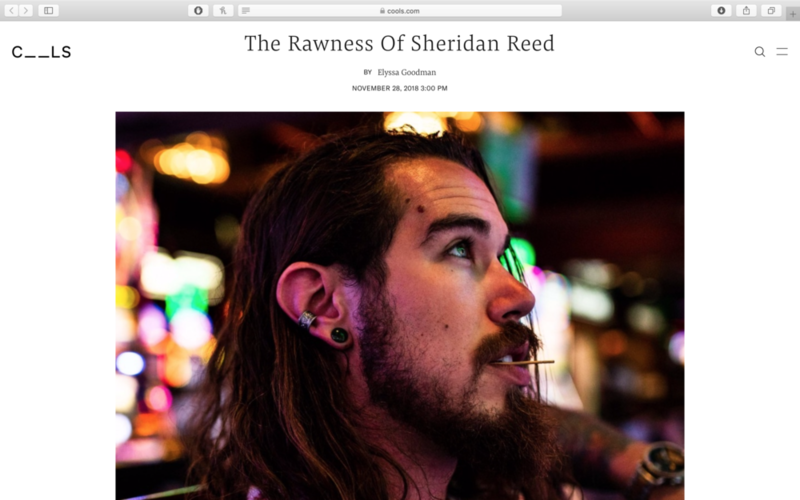 Click the link below to view the feature and listen to Sheridan Reed's new single. Sheridan Reed will also be doing a live show taping with TrueSk8 Magazine in San Diego in November, keep an eye out for the live stream! 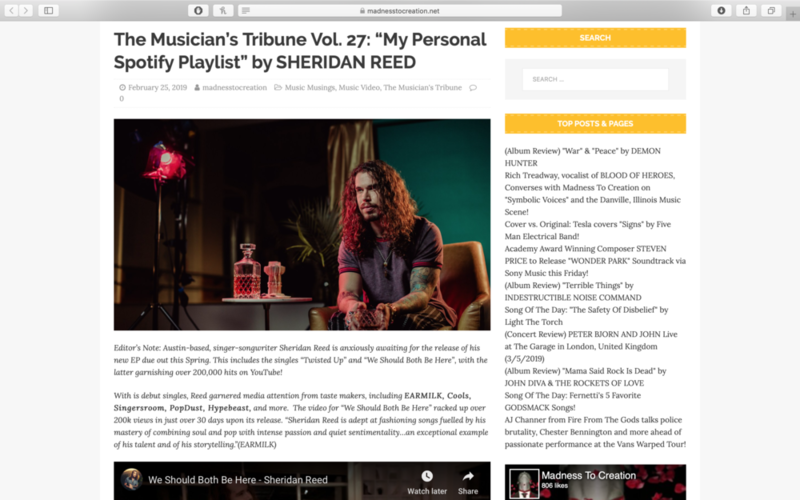 Check out Sheridan Reed's exclusive interview with blog Kill the Music discussing some of his history and current influences in their Unsigned Spotlight section. "Who writes your songs? What are the main themes or topics for most of your songs and do you think these topics will change over time?" Sheridan Reed gives an exclusive interview about his journey so far, as well as challenges he's faced along the way. "What led you down this path of music and what motivates you to stay the course?"